Since the US Supreme Court's decision in Association of Molecular Pathology v Myriad Genetics last year (more on which can be found on this very blog here and here), most of the general public and even the legal profession thought that the matter was done and dusted, and that genes, in the application created by Myriad Genetics, would be unpatentable. Even so the fight still lives on in the Land Down Under, and after a decision in the Federal Court of Australia last year the matter has gone further into the Full Federal Court of Australia on appeal, prompting yet a new analysis of the patentability of genes under Australian law. The case in question is D’Arcy v Myriad Genetics Inc, which concerned the same patent (albeit its Australian counterpart) as was discussed in the US Myriad Genetics case; Australian Patent 686004. The patent itself relates to, in simple terms, the isolation of one specific gene; BRCA1. Analysis of this particular gene can identify a heightened risk of breast or ovarian cancer in the carrier, should a mutation exist in that gene. Yvonne D'Arcy, a former cancer patient herself, brought the case forward, challenging the patent, in an attempt to potentially lower the costs of testing the gene, having an impact on future testing and the amounts of women getting their genes analysed for that particular mutation. Currently in Australia the costs are upwards to 3000 dollars, clearly indicating a potential costs issue in the field. As was the question in the previous case, the Full Federal Court would have to decide whether the invention would fall under the Statute of Monopolies 1623 as a 'manner of manufacture', and its interpretation in the NRDC case (more on which can be found here). The court extensively discussed the precedent and jurisprudential considerations which affect the case, yet left the application of those considerations quite brief. The appeal hinged on three arguments made by Ms. D'Arcy; that the artificial state of affairs in which the gene exists post isolation is not enough for it to fall under the Statute of Monopolies and be considered a 'manner of manufacture'; that the gene, even if isolated, is still the same as the one which exists in the human body; and that the patenting of a gene would be patenting a natural phenomenon, contravening the Patents Act 1990's exclusion of such matters from patentability. Ms. D'Arcy argued that the isolation of the gene does not produce a product, which would leave the invention short from potentially being a manner of manufacture, as, in her mind, the isolation merely produces an end-effect, rather than a product. She further argued that the isolation of the gene does not produce an artificial state of affairs, as nothing is done to the gene aside from its removal from the genome for analysis, producing no artificial effect in itself bar from what occurs naturally as it exists within the genome. Even though she recognizes that this requires human intervention it still falls short from the word's definition in NRDC. 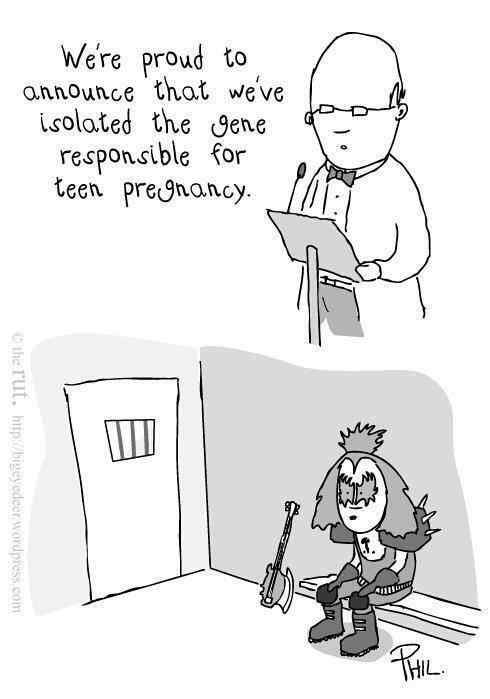 Gene isolation can be a good thing. The court rejected this argument, stating that "[t]his submission fails to recognise that the High Court has made it clear that the principles discussed in NRDC are equally applicable to products. Further, the isolated nucleic acid is itself an artificial state of affairs. It is removed from the genome and from the cell. In order to determine whether an invention claimed is a relevant product, the question is whether it consists of an artificially created state of affairs, not whether it produces or fails to produce an artificial effect" (emphasis the court's). This writer for one would argue slightly against the court as an artificial state of affairs should consist of something which does not occur naturally, either through manifestation or through composition. The patent in question certainly does remove the gene from the genome, yet the gene still remains the same, both in what it contains and how it resides, but is merely taken out of its space like a Lego block. This, in my mind, is not enough. The court does qualify their position and agree that not all isolation can confer patentability; however this hinges largely on an economic benefit viewpoint rather than purely a scientific one. The court does draw on scientific facts and that the gene cannot code due to its removal, yet the argument seems flat and doesn't, to this writer at least, confer much logic. Take an engine as an example. Should the engine be removed from the car and all of its connections disconnected, it cannot move the car, yet one could logically argue the engine is still the same engine even without his capability. Although a simplified analogy it illustrates the folly in the court's argument. The second argument brought forth is one which contends that the gene is the same as the one which occurs naturally in a human's genome. Ms. D'Arcy contended that even with the isolation factor the actual information within that gene is exactly same as in the one which has not been isolated from the aforementioned genome; a fact that the court and Myriad Genetics did acknowledge, albeit contended that this makes it identical to the one in the genome. This challenges the primary judge's notion of economic utility, which allows for the isolation to create an artificial state of affairs due to this utility. The court wholly rejected this, stating that "[the] [g]enomic DNA sequence does not exist outside the cell and in that sense it can be said that an isolated chemical is not the same as the chemical in situ. One difference is that the isolated chemical can be manipulated and utilised in ways that the other cannot. That is, they may have different uses or functions, including those set out in the specification. Treating the claim as one to chemical entities, they are not the same as the nucleic acid sequence encoding the BRCA1 polypeptide in situ. They have different beginnings and different ends". Again, this writer humbly disagrees with the court's notion of different utilization, and a clear emphasis on economic benefit in the gene's isolation. The gene still serves the same function as the one in the genome, yet cannot do so outside of the genome due to its isolation. This, and that its chemical composition is almost identical aside from the separated chemical bonds, clearly leaves the gene as the same as the one that occurs naturally and doesn't create an artificial state of affairs or a new invention. The court also rejected Ms. D'Arcy's argument of Myriad Genetics patenting laws of nature, stating plainly that "The isolated DNA can be characterised as material derived from naturally occurring material. This is not excluded from patentability within the reasoning of NRDC. The use of a living organism to produce a substance such as an antibiotic is patentable. It is not a question whether there is any overlap between what occurs in nature and that which is claimed. If so, all biological material would be inherently unpatentable". "In our view the products the subject of claim 1 are different to the gene comprising the nucleic acid sequence as it exists in nature. It follows that the notice of contention based on this ground succeeds... The isolation of the nucleic acid also leads to an economically useful result – in this case, the treatment of breast and ovarian cancers. This is surely what was contemplated by a manner of new manufacture in the Statute of Monopolies." The Federal Court also openly rejected the US Supreme Court's decision on the Myriad case: "With respect, the [US] Supreme Court’s emphasis on the similarity of ‘the location and order of the nucleotides’ existing within the nucleic acid in nature before Myriad found them is misplaced. It is the chemical changes in the isolated nucleic acid which are of critical importance, as this is what distinguishes the product as artificial and economically useful". Again, the Federal Court ignored the clear lack of differences in the gene and the one naturally occurring in the human genome, and places a heavy emphasis on economic utility rather than any differences which can be noted as marked. Arguably the court has reached the wrong result, but one can imagine their potential rationale as to the economic benefit and a future marketplace for genetic and biological modification and analysis of humans in Australia. Yet the case seems flat in its reasoning and ignores the larger picture in its attempts to focus on the nuances of convalescent bonds. The case can be, and possibly will be, further appealed, and this writer for one cannot wait to see where the case is taken.